If you’re looking for Carson Andrew, you’ve come to the right place. We, at Spicer Bros. Construction are proud that we’ve been able to get to know Mr. Andrew and that he is trusting us to provide the same exceptional service to his customer that they have become accustom to over the past century. A few months ago O.N. Andrew & Son was closed as Carson retired and it was announced on his website that we’d be taking over. We want to welcome you and we plan on serving Cambridge, Hurlock, Easton, Denton, Centerville, Stevensville and the surrounding areas just like O.N. Andrew & Son did since 1919. We have the same wealth of experience necessary to design and build a full roofing system that will last your family for years to come. Specializing in reroofing, roof repair, storm damage, and gutter installation and so much more, Spicer Bros. Construction is your one stop for quality home roofing & gutters. How do we ensure quality in our work? By partnering with the likes of GAF and CertainTeed to design and create roofing systems using the latest and greatest in installation techniques and materials. When you turn to Spicer Bros. Construction, you can have peace of mind knowing that your new DelMarVa area roofing system will be installed by a fully certified, factory-trained expert. Spicer Bros. Construction also offers many benefits that O.N. Andrew & Son didn’t offer. In addition to roofing and gutters and gutter covers, Spicer Bros. Construction can also add curb appeal to your home with new siding or replacement windows and doors. If you’re looking for home improvements, be sure to ask as we also can put an addition on your home or add a deck for outdoor entertaining. We hope that you will turn to us for all the services you once relied on O.N. Andrew & Son for and so much more. Contact us today with your inquiry regarding an installation that was done by O.N. Andrew & Son or any new need you may have regarding home improvement, roof replacement or repair. We look forward to serving you for years to come. 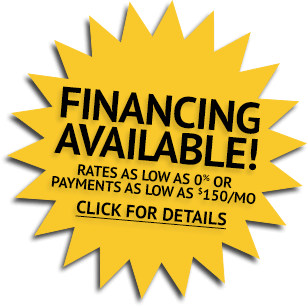 Just give us a call at 410-546-1190 or fill out our Request an Estimate form on the right sidebar.